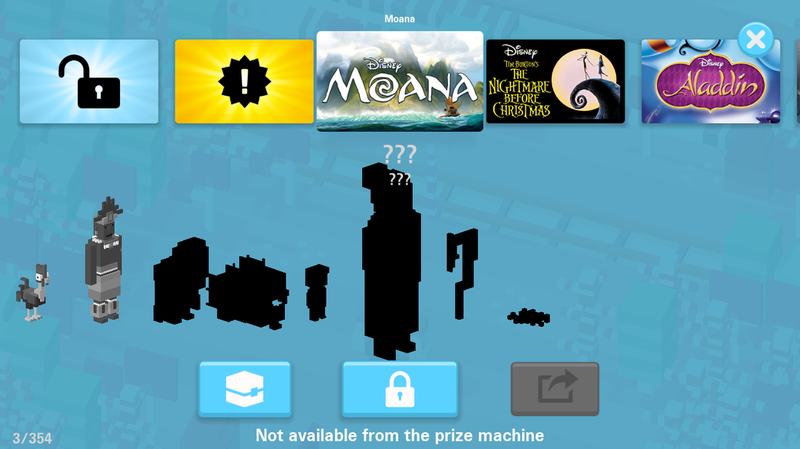 Disney Crossy Road Archive - Unlock all Secret Characters! The new Disney Crossy Road DuckTales Winter Update 2017 was released in December. Please help us in the comments if you have any further information. Launchpad McQuack can be unlocked by completing the "Power of Flight" set of characters which includes Pixiu Chinese Dragon, Mosquito, Lightning Storm McQueen, Darkwing Duck and possibly more. Break her out of prison (stand in front of the jail cell) with Big Time Beagle, Bouncer Beagle, or burgler beagle. Gizmoduck is unlocked by collecting five of his components while playing as Gyro. The new Disney Crossy Road Cars 3 Update 2017 was just released this July. Please help us in the comments if you have any further information. Unlock Florida 500 Ramone by playing as Ramone and die at exactly 99 hops. Note (by DaMobile Mob): Don't pick up fuel, it will corrupt your score and you will loose sight of the real hops. Unlock by playing as Florida 500 Ramone (secret character #1) and get hit by pursuing cars (the red line under you) 10 times. Play as Rusty and complete 3 laps within one race to unlock Dusty. Complete the Fast as Lightning Set. Suggestions for characters are welcome. 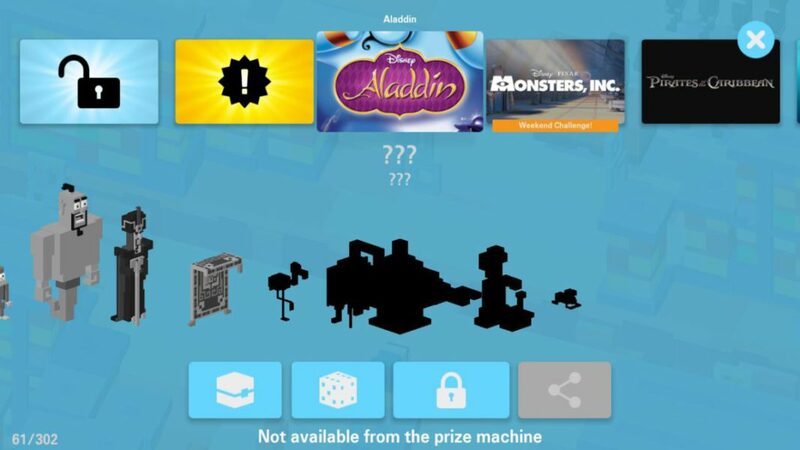 Special thanks to YouTubers DaMobile Mob and Disney Dan / Disney Infinity Code for providing tons of information! The new Disney Crossy Road The Beauty and the Beast Update 2017 was just released this March. Please help us in the comments if you know how to unlock the remaining character. Get all characters who are cursed such as Lumiere, Cogsworth, Beast, Chip, Plumette, Mrs. Potts and the Beast. Get all well dressed characters such as Gaston, LeFou, the Beast any many more. Play as classic Belle and collect 50 Books to unlock this winter dressed Belle character. Play as Gaston and score over 250 points in one game. First unlock the enchanted Ballroom Beast by completing the Weekend Challenges. Then play as Ballroom Beast and dance with Ballroom Belle to unlock Prince Adam.